So, you now have a list of items for your bug out bag. The question is— do you know how to organize the items inside it? What items are the most essential? How heavy should your bag be? Do you know how to use everything in your bag? Here are 8 wilderness experts to help you out. 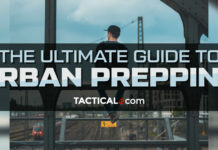 These preppers will show you how to pack your bag to keep it efficient and organized, even when SHTF. One issue that comes up with packing bug out bags is the weight. You’ll have to carry that bag around so it’s important that while it has everything you need, it shouldn’t be too heavy. This video shows you how to pack a 14-pound bug out bag. That’s pretty light for a bag that has everything you need. It’s full of multi-purpose items and is organized in such a way that’s upgradable so you can switch items up, depending on your location and climate. This is not a video that just shows you how to pack a bug out bag. 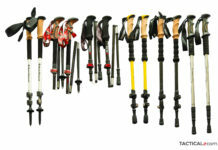 It’s even better: it shows you what to put in your bug out bag and how to use them in a real wilderness setting. It’s full of practical tips on how to maximize the purpose of each item in your bag— from purifying water to making fire from scratch. This video shows the top ten things people often forget when packing their bug out bag. 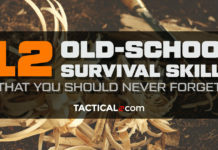 While most preppers put extra food rations or pack two knives for good measure, they often forget these 10 useful things. Have you considered the importance of stomach meds? How about a dental first aid kit? This video details why a prepper shouldn’t overlook these unassuming but helpful items. 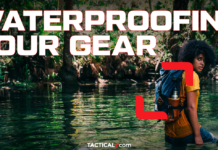 This no-frills video stresses the importance of getting a pack that’s compartmentalized and of organizing a pack according to the rule of three in survival: 3 hours without shelter, 3 days without water and 3 weeks without food. It also gives great tips on hiking with your bug out bag to know if the weight is manageable even after long hours of walking. Bug out bags were meant to be carried, but you should also consider preparing a long-term survival kit that you can put in your car. While it stresses the need to prepare a lighter “go bag” that has all your essential needs, the video also details what other items you could keep in your vehicle, like extra ammo or radio communication devices. This also gives tips on how you can keep your survival items concealed within your car (clue: under the bench seat) and how to organize in a way that you can grab the essentials quickly in case you need to leave your car behind. This video from Black Scout Survival not only shows how to pack a bug out bag, it also has a lot of practical tips for a real-life disaster situation. It highlights the importance of having a bag that’s not more than 45% of your body weight (since you’d have to carry it around), having a predetermined bug out location and how to get there safely. Another cool thing about this video is the bag itself: it’s a tactical-style bug out bag that has removable parts that you can modify depending on your needs. You can remove the top part of the bag which contains the essential items and convert it into a fanny pack. The rest of the bag can be stowed to a safe location while you scout around. This video shows what you can pack in a winter bug-out bag. Bugging out or not, winter is always a difficult situation to prepare for. This video stresses the need for items that can keep you warm in really cold climates, like thermal clothes, and down blankets. The result is a bulkier bug out bag, but one that won’t let you freeze to death in the wilderness. You won’t believe how many tools and supplies can fit in this humble bag. This bug out bag may lack the fancy bells and whistles of other preppers, but it can definitely hold its own against the arid Australian climate. It’s a simple pack full of DIY and practical tools that you can use to survive against the elements. There’s really no right or wrong way on how to pack a bug out bag. At the end of the day, it all boils down to your needs, location and individual capability. 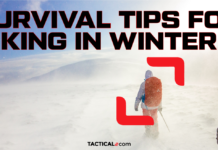 Just keep these useful tips in mind, mix and match their methods to find out what works for you best, and you’ll be on your way to prepping the ultimate bug out bag. Previous articleWhat Should You Look For In A Bug Out Bag?